Ships today if you order in the next 5 hours 8 minutes. 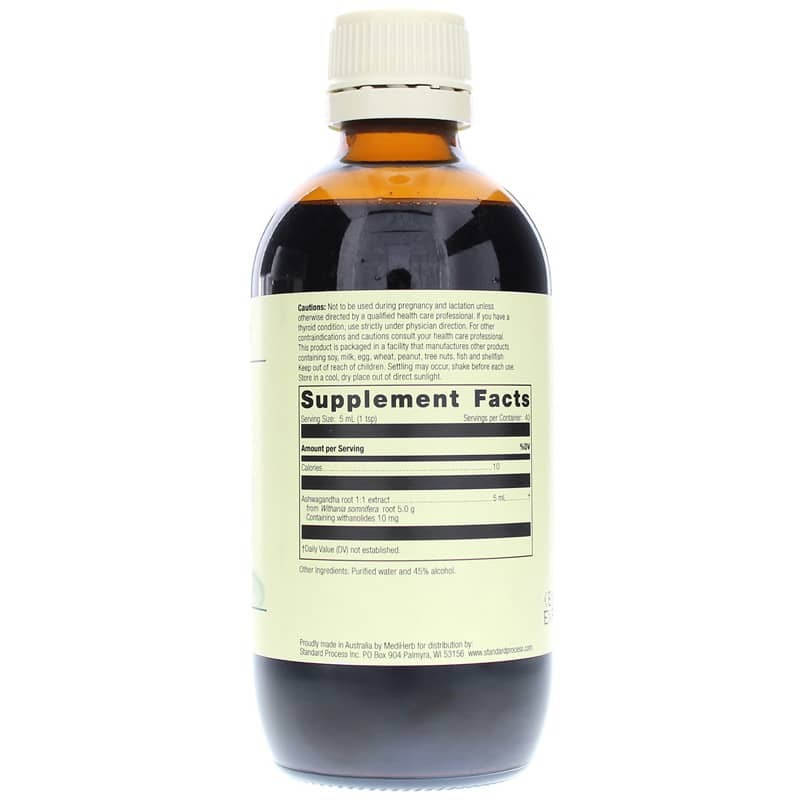 Ashwaganda 1:1 by Standard Process is an herbal supplement that is standardized to contain 2.5mg/mL of withanolides to ensure optimal strength and quality. 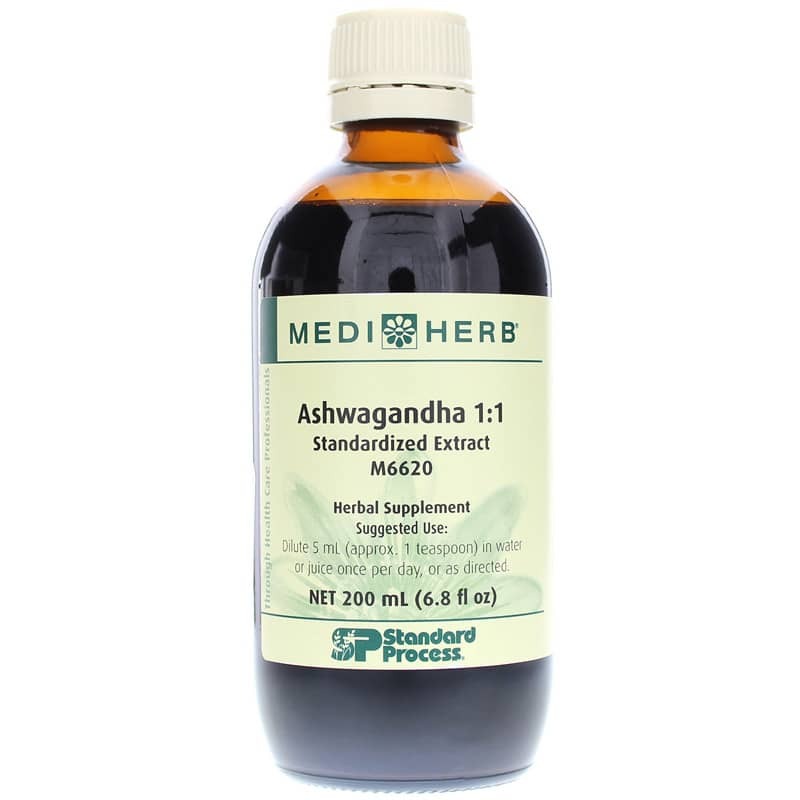 Ashwaganda contains naturally occurring steroidal compounds, alkaloids and other phytochemicals that together produce a tonic and adaptogenic effect for the entire body. Adults: Dilute 5 mL (approx. 1 teaspoon) in water or juice once per day, or as directed. Not to be used during pregnancy and lactation unless otherwise directed by a qualified healthcare professional. If you have a thyroid condition, use strictly under physician direction. Keep out of the reach of children.